A brand new edition of Traveller is now available - based on the original but tweaked, finessed and updated through a massive months-long beta playtest by you, the players! Traveller is a science fiction roleplaying game of bold explorers and brave adventurers. The Traveller Core Rulebook contains everything you need to create one of these adventurers and begin exploring the galaxy. Spaceports, ancient civilisations, air/rafts, cold steel blades, laser carbines, far distant worlds, and exotic alien beasts – this is the futuristic universe of Traveller, the original and classic science fiction roleplaying game. This digital edition includes the full colour Traveller Core Rulebook, a black and white printer-friendly version, and a PDF of 2D versions of deck plans for all the ships included in this title. I did a video review of this book. Check it out and let me know what you think! Anyone know if the last listed update (as of Sep 19th 2018) of "February 12, 2018" includes all of the discovered errata and typo corrections up to Feb 12th? What are the changes in the update, please? Is there a change log to the new updated version they just uploaded? Just from looking at the preview the layout, design, graphics, and polish is a lot better than the first edition of Traveller from Mongoose, but they still have a long ways to go. Mongoose's 1st edition looks like it was designed and published in the 80s instead of 2008. There 2nd edition appears it was done in the 90s instead of 2016. Mongoose would seriously benefit from a professional layout and design company. I could then see paying their asking price of $29.99. I definitely look forward to seeing Mongoose producing superb Traveller products like Catalyst Labs, Wizards of the Coast, Paizo, and a lot of small publishing companies are able to do. I just hope we don't have to wait too long. I'm sorry you consider products from Catalyst to be superb? Shadowrun is so mismanaged it's embarrassing. Are there going to be new career books coming for this addition? Is there any plans to optimize the color PDF? The rendering lags on my iPad compared to other PDF. I really wish they'd do this. The Monte Cook Games PDFs have way more color and images, but are buttery smooth on all my devices. The Mongoose Traveller 2 stuff is slow to load every page, even on an 8 core i7 (and my iPad, too). Love the character generation in Traveller so decided to 1. get everything and 2. bought some of the other physical books (HG and CSC) direct from Mongoose. I then read in a forum that I could request a pdf copy (no charge) direct from Matthew Sprange and a few hours later I get an email with the links to download from RPGNow. I actually bought the core rules from an online retailer (Amazon?) and let Matthew know and he still sent me a link to download the pdf! Yes the pdf's are probably expensive but the service is second to none. Now I just need to return the favour and get this game to the table. I notice that the .pdf for the Core rulebook version "erratajun2106" is 40 MB bigger than the other file. Why is there that big a difference? It starts to be unwieldy to read on a tablet with Adobe. Where do you see this "erratajun2016". I ask as I just got the PDF and have noticed what I think is an error so I'm looking for official errata but so far have't found any such document. When you buy this product, you get several versions of the book, different .pdfs. You get regular Traveller_Core_eBook.pdf, a .pdf that is printer friendly (illustrations are taken out), and a book with errata corrected, Traveller_Core_Rulebook_erratajun2016_Ebook.pdf Also a file of character sheets and another with deckplans. If you don't see them, click your Account button up top and look under Updated Products. The "erratajun2016" update was in June 2016 but they still offer the original file because it matches the printed book. I just bought the package and noticed that there is a PDF called Traveller_Core_Rulebook_erratajun2016_Ebook.pdf which is the full colour version of the rules with all the images and Traveller_Core_Rulebook_BW_PRINTFRIENDLY.pdf which is the rule book without all the imagery to reduce the size I presume. The problem that I have found is that they are not the same version of the rules and I am not sure which is supposed to be correct - I am hoping that its the Print Friendly version because the vehicle combat rules are seriously broken in the full colour version (ie a vehicle mounted 25mm auto cannon does less damage than an auto pistol and there are no weapons that can damage an armoured vehicle at all (with the exception of the vehicle mounted fusion cannon and starship scale missiles). You are right. The original .pdf (which corresponds to the printed book) and the Printer Friendly version say a Light Autocannon is 6D, but the erratajun2016 made changes everywhere and bumped it down to 1D. I am just a player but I suppose you might want to go with 6D. There is a new update showing up very recently, but I'm not sure of which of the books or sheets they have updated. Also, does anyone know what font is used on the blank sector map? Is there any chance that Blank_Sector_Map.pdf might be finished at some point? At present the map key is unfinished, lacking symbols for scout, research, and TAS bases, as well as red zone boundaries. I fixed my copy myself, but this just looks unprofessional. 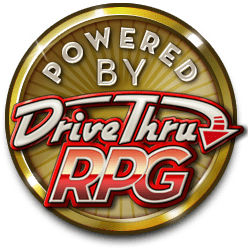 I'd also like it if drivethrurpg were to separate the new stuff from the old stuff. I'm aware the old stuff is pretty much completely compatible, but since I do not own any legacy material (aside from an old copy of the core book), it would be nice to be able to tell at a glance which system a given supplement was actually designed for. The shop page is saying I've bought this, but it doesn't have the normal "Click to get it" button and I can't find it in my library! #1: If there are no rules for ship design or planetary system design in the Core Rulebook, have they released a separate sourcebook(s) that cover this material at this time? #2: Are there any official PDF downloads for the various Character/Ship/Planetary System Sheets off of the Mongoose Publishing website? #3: Are there any sourebooks that you would highly recommend that a new player/GM would find incredibly useful when running this game? #1: High Guard 2nd Edition. #3: It depends on what experience you have with playing/GMing other tabletop RPGs. So, I notice a bunch of the old discussion comments talking about the lack of certain aspects of the book. I just wanted to throw in my two pence. People are complaining about being 'shafted' by the lack of a ship design chapter in the core rulebook. I appreciate that this has been a staple of the traveller game since time immemorial. But think about it, this is the CORE Rulebook. This means that it should contain the core elements needed to play the game. It tells you everything about how to operate a starship mechanically both in and out of combat,a s well as providing a selection of pre-designed ships that are common to the 3rd Imperium setting - or can be easily adapted to another setting. Yes, okay, you won't be able to build ships for setting X or Y that you want to run with it, but if you want a generic sci-fi setting you have the tools to do that. Ship design is not needed to run a game of Traveller. It's definitely a nice to have, don't get me wrong, especially if you want to...See more recreate [insert popular science fiction universe here]. A similar argument for a planetary record sheet... the UPP does tell you the key essentials you need to know from a rules perspective. For everything else, well... that's what GMs have their own notes for. If you wish to type up some more detailed info about planet X or Y, then you can go ahead and do that, there's nothing stopping you, jsut ebcause the book doesn't have a sheet to let you do that. If anything I suspect a more detailed planet creation ssytem - if it's something they add - again fits more into a supplemental book (probably Scout) than it does the core rulebook, as it is not necessary to run a coherent game. I know this post is hella old at this point, but I just wanted to say I totally agree. If people want to see what it looks like when everything is included in the core book, they need look no further than Traveler's 5th Edition. Last I checked, it can be had in hardcover for $70 or so. No, there is no rules-lite paperback or pdf available for your would-be players. Everyone who wants to play has to drop that $70 (or pirate a PDF). I'll take Mongoose's model over that BS any day. Lots of references to other books that don't yet exist in this edition of Traveller. Are we meant to use the previous edition? I was also confused about this. Is there a companion in the works?